New Delhi: State-owned coal mining major Coal India has finally received a request for assistance sent by the state government on December 20 to rescue the 15 miners who have been trapped in the 370-foot-deep illegal coal mine in Ksan area of Lumthari village since December 13. Coal India will be sending high-power pumps from its mines in West Bengal’s Asansol and Jharkhand’s Dhanbad, people said. These special pumps are not available even in Coal India’s mine in Upper Assam, nearer to Meghalaya. What comes as a major concern, is that foul smell has started emanating from the cave after high-end pumps are scheduled to be pressed into service to rescue the 15 trapped miners. 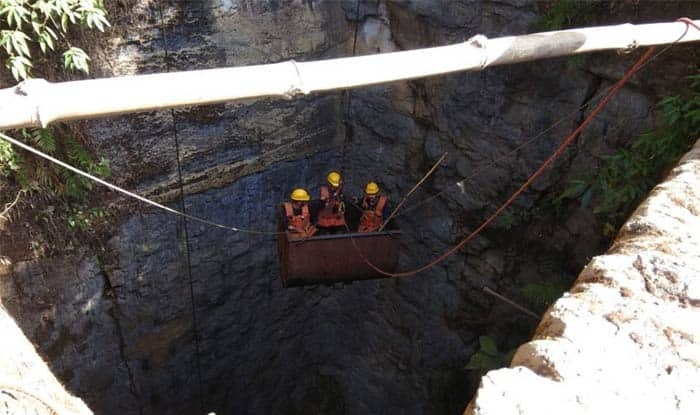 Earlier, two low-capacity pumps used to draw water from the illegal mine in Meghalaya’s East Jaintia Hills were used to pump out water but it could not extract enough water for safe rescue operations, as water from a nearby river and another abandoned mine kept flooding the rat-hole mine that collapsed on December 13. The NDRF divers are waiting for the water level in the mine to fall from 70 feet to 40 feet, the level at which their divers can operate. “It is one of the most challenging operations in the history of the NDRF. Our divers are not trained for this kind of a situation,” said Sastri, who is leading the 1st Battalion of the NDRF for the rescue operation at East Jaintia Hills. Mining was banned in mineral-rich Meghalaya in 2014 after people said it was polluting water bodies. But the practice continues with locals illegally extracting coal using dangerous rat-hole mines.